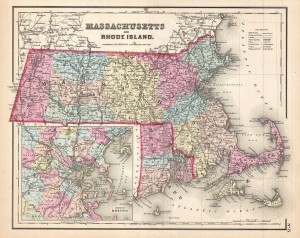 This is the uncommon 1857 issue of J. H. Colton’s map of Massachusetts and Rhode Island. Ray Bates, author or “Shipwrecks of the North Shore,” discussed the re-release of his book as an eBook with CEO Jim Bryant of Trajectory, a small digital publishing company, recently in Marblehead. The book was first published 15 years ago, and sold out its first printing of 5,000 companies in no time flat. Among maritime history fans Bates name became well-known. Now however his original publisher is out of business and his book went out of print. 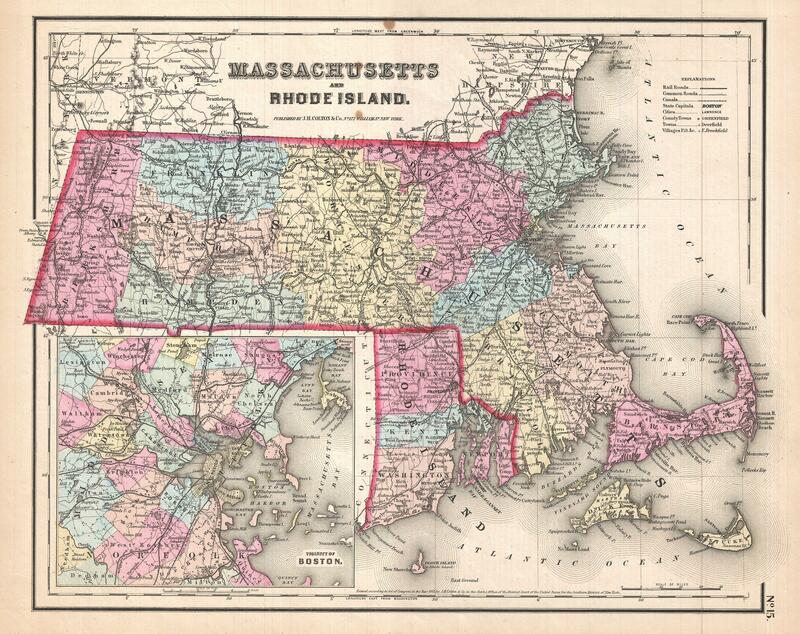 So to get the presses running again Marblehead-based Trajectory is stepping up to the plate. Bryant hopes to get “Shipwrecked” on-line on Amazon and on similar sites as an eBook. “We’ve given new life to Ray’s book, which is now available as a global eBook,” said Bryant. Bryant hopes the book will become available as far away as New Zealand, Indonesia and Malaysia. Trajectory even has its eyes set on China. “Shipwrecked” is already being downloaded by Chinese citizens through the People’s Education Press, a Chinese eBook marketplace. From the spring until early summer Bates leads eighth graders on history tours around town. He hopes to inspire the youth with his discussion of the unknown mariner who was buried at the Old Burial Hill; or with the town’s special connection to commercial fishing.